Over time, spinal adjustments can help some asthma sufferers decrease the number of attacks. When a spine is in alignment, energy flows through the nerves to the person’s organs. A misaligned spine can cause the energy to fail to flow through the nerve endings as effectively, and a host of issues can arise. The lungs can suffer when the spine is not aligned. Your Glastonbury Chiropractors are able to treat the spine so that, over time, it aligns. In some cases, this helps lung function and decreases the number of asthma attacks. If a person suffers from chronic asthma attacks, this could be the time when he or she has an episode. 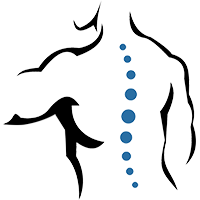 Our team of Chiropractors who align the spine can create a positive domino effect. The nervous system improves, the immune system improves, and the asthma attacks decrease. It’s advisable to speak to both your medical doctor and Doctor of Chiropractic about your asthma symptoms. By having both disciplines co-manage your case, you’ll work toward a healthier outcome, possibly even without the use of drugs. Give Damato Chiropractic Center of Glastonbury a call to learn more.